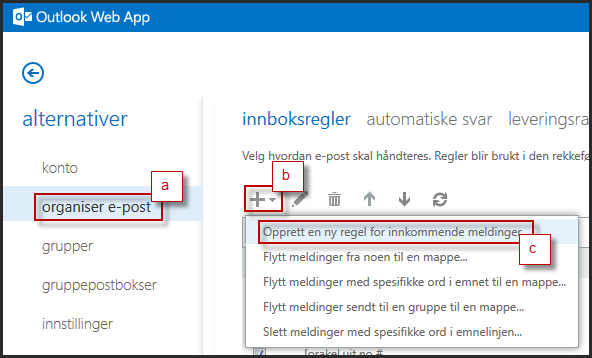 The Outlook Web App is capable of automatically sorting all received emails into folders, using inbox rules. 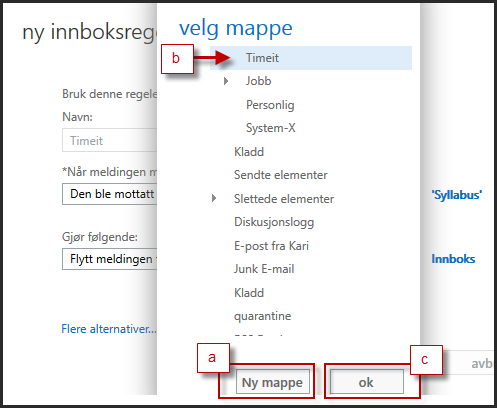 Please note that the images presented below will all be in Norwegian, but this guide will supply the English names for the highlighted choices for ease of use. 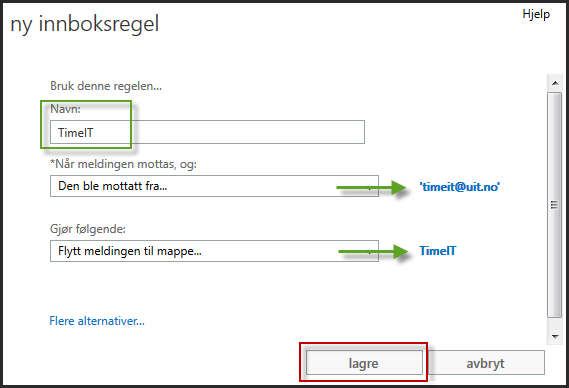 Enter a name for the rule, such as "Timeit". 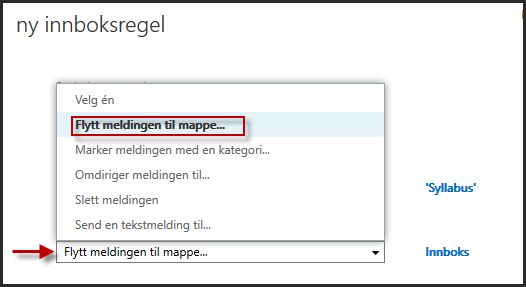 In the drop-down menu "*When the message arrives, and:", choose "It was received from". This will open UiT's address book. Klick in the area to the right from "From", enter the email address you wish to apply this rule to [a] (ie: "timeit@uit.no"). Press "OK" [b]. In the drop-down menu labelled "Do the following", select "Move the message to folder". Review your rule. If everything looks to be in order, press "save". 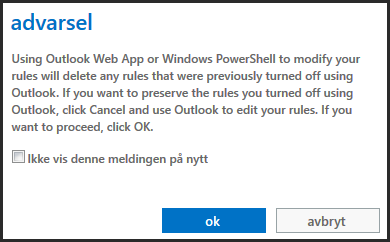 At this point, you may receive a warning detailing how deactivated rules created through Outlook may be deleted. As this only concerns rules you have already deactivated and are not using, simply press "OK". 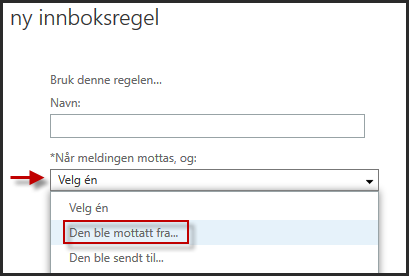 The rule is now saved, and emails from this sender will automatically sort to the selected folder.